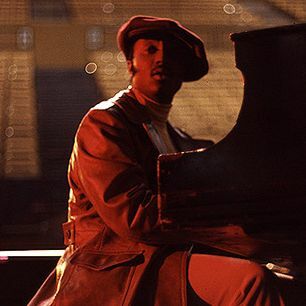 Flying Easy is a musical play that explores the life and legacy of legendary soul artist Donny Hathaway. Donny's story is in many ways a classical tragedy of the "Mad Genius," but in particularly American themes of racism, alienation and exclusion. Flying Easy immerses the audience in the sound and the struggle of this remarkable artist who invented the style that underlies the work of today's most prestigious pop-stars. The show features a cast of 5, a corps of 4 dancers and a 4 piece band. It tells Donny's story completely through his songs, set in a dreamscape. It is a "Live Visual Album" inspired by works like Janelle Monae's "Emotion Picture" Dirty Computer and Beyonce's Lemonade. Flying Easy extends the narrative power of action set to music and brings the unique element of liveness to this evolving form. This is an ambitious new take on the “jukebox musical” that brings a recording artist’s catalogue to life. Its goal is to challenge the form, the way Donny challenged pop music, and give audiences a new way to hear and FEEL his genius. Ken is an actor, vocalist, pianist, composer and creator of boundary-pushing musical theater including Flying Easy and Dancing in the Dark, both originally seen at the Yale Cabaret. Broadway: Summer, The Color Purple, Memphis, Baby It’s You! Regional: The Threepenny Opera, Ain’t Misbehavin’, Big River, Jelly’s Last Jam. Education: MFA in acting, Yale School of Drama 2009; BA in economics, Morehouse College. Proud member of Broadway Inspirational Voices.